It’s time for your organization to obtain POWERFUL results! It is getting down to business and increasing your organization’s capacity to work effectively across cultures too! It is important to explore outside existing comfort zones to enhance effectiveness and growth. Each session is designed to provide learning experiences to ignite transformational change! This cultural competency training will help you and your staff build awareness, knowledge, and skills through a variety of teaching methods including direct instruction, role playing, case studies, and facilitated group discussions to gain an edge over the competition. When it comes to entrepreneurship, there is no clear path to success. The challenge entrepreneurs’ face is to find their own path to success given their business, situation, timing, and style. To become a POWERpreneur you must spend a good deal of time working hard, developing realistic growth strategies and learning as much as you can to make your dream a reality. No matter what your industry, business plan, dream or idea, you don’t know what you don’t know. 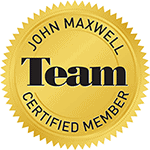 As a John Maxwell Certified Coach, Trainer and Speaker, I can offer you workshops, seminars, keynote speaking, and coaching, aiding your personal and professional growth through study and practical application of John’s proven leadership methods. Working together, I will move you and/or your team or organization in the desired direction to reach your goals. 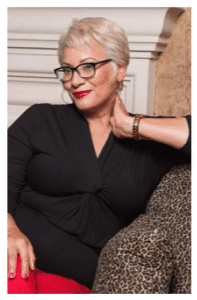 A BILINGUAL community designed for WOMEN – Mujeres Pass On Their POWER! Guiding a Facebook community on how to change their language, that will change their ideas of self, remove emotional barriers to achieve greater results. Creating new i-ttitudes through i-ffirmations!